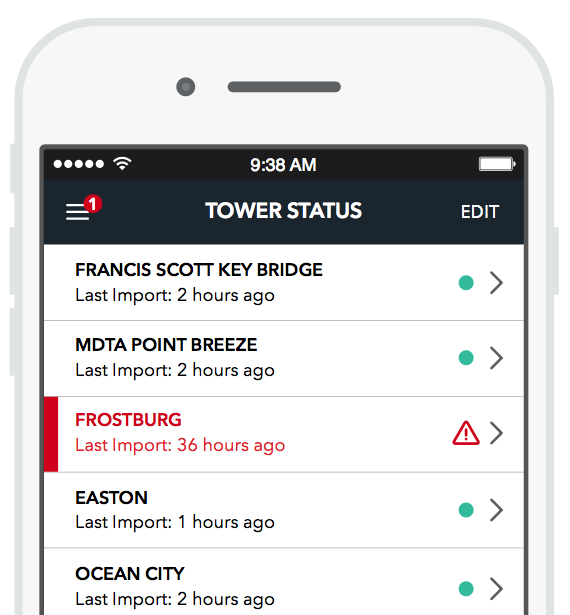 To effectively monitor your tower, we first need to automate the processing of its data. Start by creating a tower in WindDataIO. Once a tower is created, you'll receive a unique email address specifically for use with that tower. Add the email as a CC to your primary address in the tower's iPack. Flip the switch and we're ready to go. At this point WindDataIO will begin to receive your daily RWD files and process the data. All "active" towers should be receiving data every 24 hours. 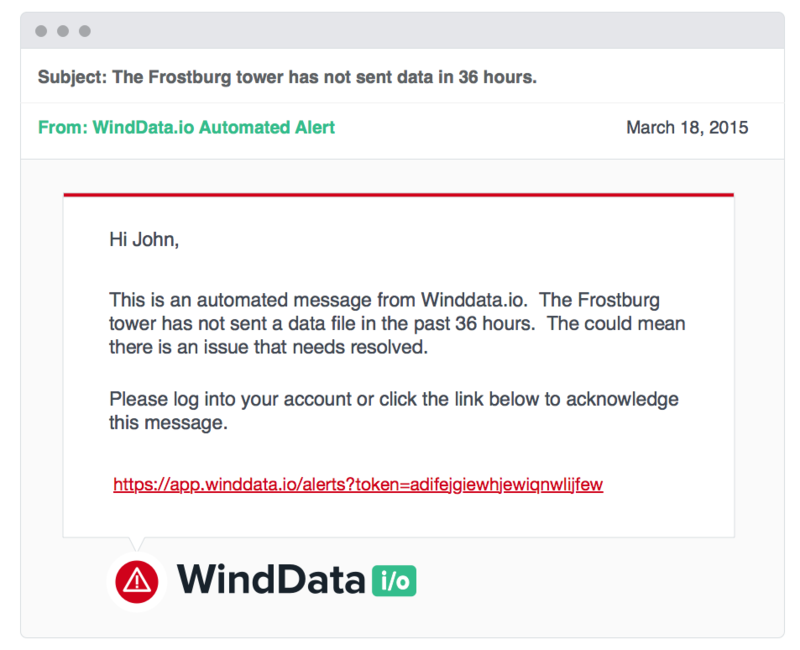 We have a default tower alert that is sent out after 36 hours without receiving data, although it can be easily customized. Now that we are processing data daily, we're running simple quality controls against that data. WindDataIO flags data deviations including sensor icing, low voltage, and others. Some things deserve the utmost attention and others do not. For instance, if your tower isn't sending out data, it could result in days of data loss. We don't want to see that happen. In such situations, you'll receive an email notification requiring your acknowledgement. 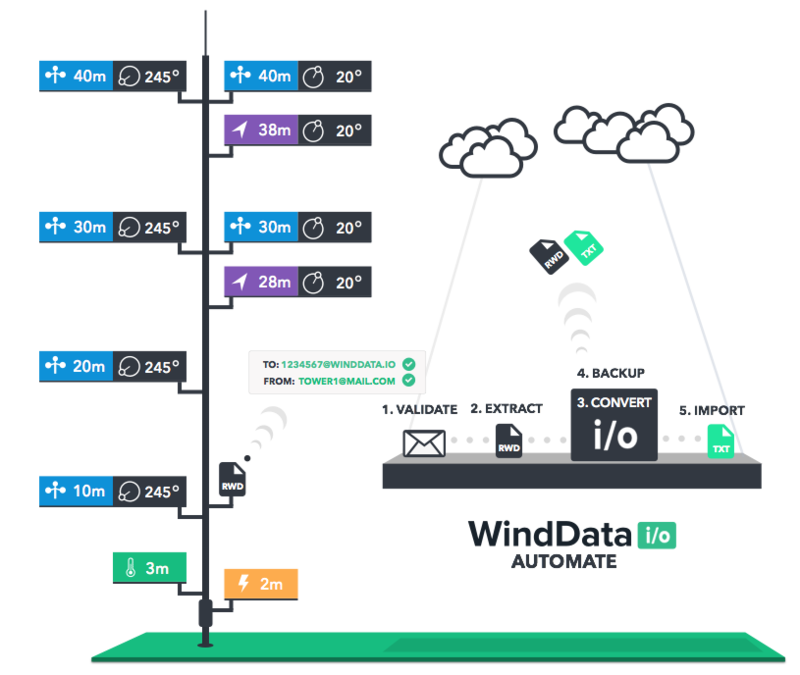 Automation is the foundation of WindDataIO.